Subscribe & watch your savings grow. 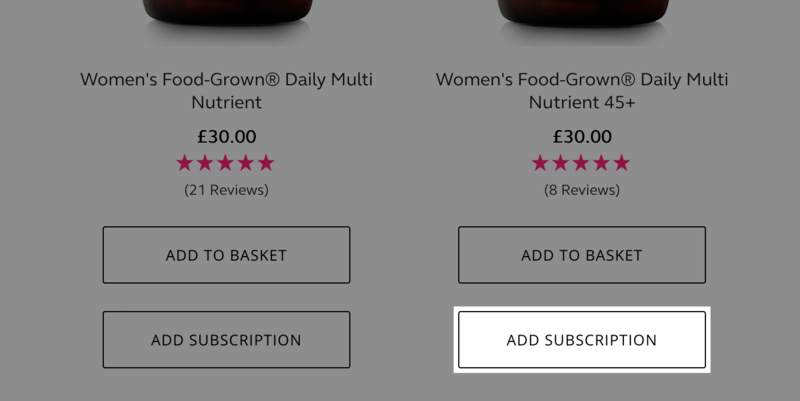 Become a Wild Subscriber® today by setting up a monthly subscription for your favourite products and you’ll save 10% straight away. Remain subscribed for 6 months and that 10% will grow to 15%. 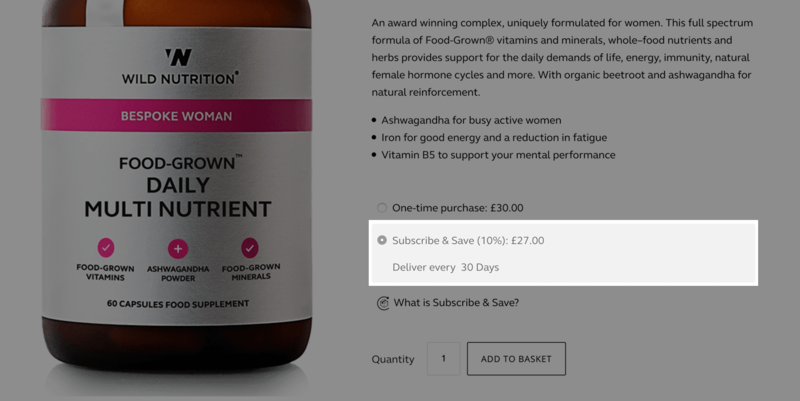 After 12 months your subscription saving will increase again to 20%. Subscribe today & save 10%. Need a break or going away? No problem. Just log in to your account and follow these steps to edit your order date to suit you. The delivery date is 2 - 4 days after your order date. We have a dedicated team who can advise and support you, please email enquiries@wildnutrition.com or call 01273 477898 if you require any assistance.